During the 1980s, three churches merged to form the Brooke Hills Free Methodist Church with a congregation of 200 people. Over the next 20 years, the average worship attendance continued to hover around 200. 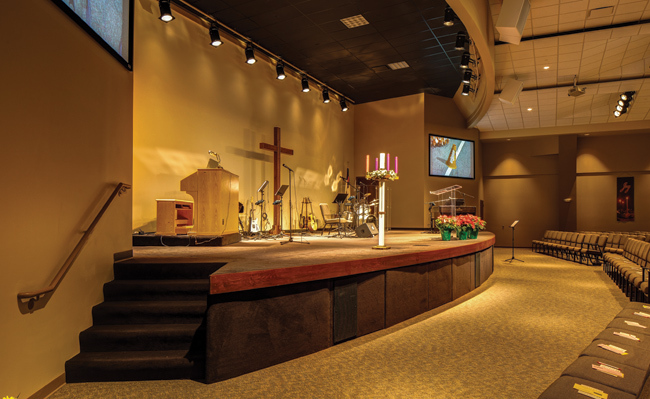 To grow their congregation, BHFMC knew it needed a larger worship space with the tools, technology, and appearance to minister more effectively. In February 2010, they partnered with The McKnight Group. After The McKnight Group presented its assessment of the church’s site, facility, and ministries, it became clear that BHFMC needed to address several additional hindrances to its growth. Key ministry spaces were spread out over two floors that were separated by multiple stairs and narrow hallways. The existing lobby was undersized and poorly located. The size, location, appearance, and security of the nursery and children’s ministry areas were inadequate for reaching new families. Parking areas limited handicap accessibility, entered the building on different floors, and were too small for a growing church. The McKnight Group provided guidance to design and build a facility that would overcome these hindrances and help BHFMC reach new people. 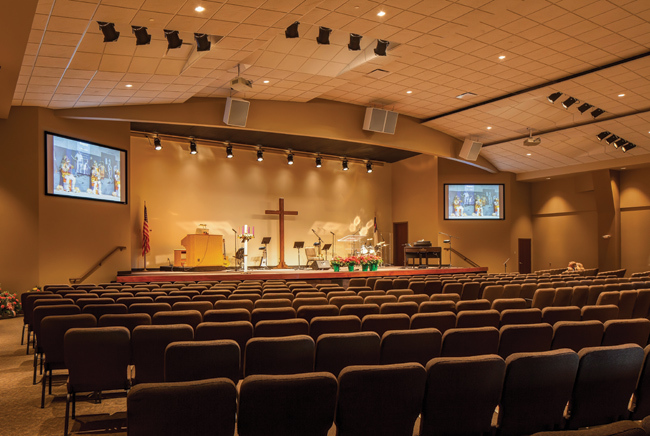 The new addition of 9,662 square feet provides a flexible 400-seat multi-ministry worship center, a large theatrical platform, and a dynamic control center for audio, video, and lighting. 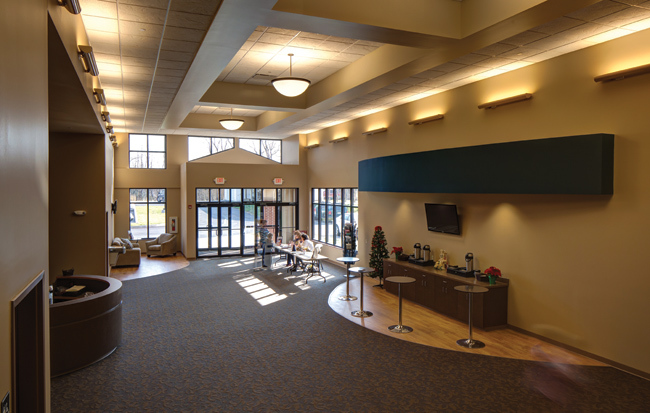 Expanded, handicap-accessible parking lots lead into the new lobby, which serves as the new hub of the church. 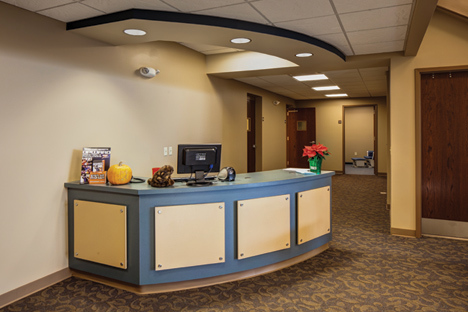 The spacious lobby is full of natural light and includes a cafe area, ample restrooms, secure children’s check-in, and a grand staircase that connects the two floors. Additionally, 4,000 square feet of newly remodeled existing space was revamped to provide two nursery rooms, a restroom, and a flexible 110-seat children’s church and youth center with two classrooms. Since opening its new and expanded facility in October 2012, BHFMC has seen astounding growth. The church has seen average worship attendance rise from 200 to 290 in the first six months alone. After experiencing just three baptisms in the previous three years, the church has celebrated 33 baptisms in less than five months. New ministries have arisen spontaneously as energized and motivated members are working to reach out to others. A new believer’s class was started with 20 participants to help meet the discipleship needs of the swelling ranks of people choosing to follow Christ. The new nursery is already being expanded to accommodate the needs of new families with young children. Furthermore, the church has been able to make double payments on its building loan each month since taking occupancy.